Price and history. 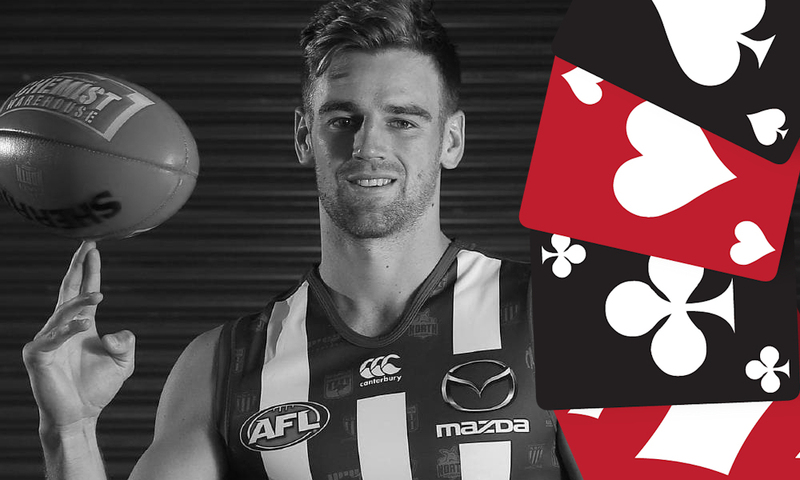 This was going to be Tom Mitchell’s card in the deck, but when he decided to get injured without thinking about every Fantasy player in the country (still love you Tom), I had to improvise. Then I remembered this little gem got traded this year and that he used to be a reasonable Fantasy player, before Melbourne ruined him. Let’s start with his price. $556k is a very reasonable price to pay for a guy who could potentially average almost 100 – if he has a good season and gets the opportunity he lacked at Melbourne. He’s priced around the same as Sam Powell-Pepper, Darcy Parish, and Bayley Fritsch. All players who were very good rookie players but have struggled transitioning past their mid-priced Fantasy stage so far (granted Fritsch hasn’t had a chance yet). Tyson could definitely be lumped into a similar category, but I believe he has a higher ceiling. In 2014, Dom gave us Fantasy coaches an average of 90, and in 2016 he went a bit better, averaging 92.9. These are the only two seasons that he’s played more than 20 games and I think he’s capable of at least the same this season, if not better. Also, within those years Dom gave us some good scores, going 130+ at least once in both seasons! He’s definitely shown the potential to score big, he’s just struggled a bit with opportunity, so hopefully he gets a real go in the middle for the Roos this season! Inconsistency. Throughout his career, Tyson has a big habit of going very big and then going very small. Even just taking a look at his rookie year where he averaged 61.6 from 10 games, he went 25, 17, 52, 91, 74, 93, 21, 67, 88, 88. Those numbers just vary so much, and it reoccurs in almost every year. Yes, the 17 and 21 were both injury effected scores, but even in the year where he played all 22, he had a high score of 130 and a low score of 46, that’s so much variation! And speaking of ups and downs, Dom does tend to miss a lot of games, although not always through injury. Since his rookie season in 2012, Tyson has gone 10, 3, 22, 15, 21, 19, 14 in games played. Not exactly what you’re looking for in a Fantasy player. As I mentioned, although he definitely has missed a fair few games with injury, Dom also struggled with getting a proper game at Melbourne. Even when he did, he had a tendency to spend a bit of time up forward too. I think that Tyson will get an opportunity to have a lot more midfield time at North Melbourne, and he definitely shouldn’t miss out on any games through not being picked! Fingers crossed this year is ripe with opportunity for Dom Tyson. JACK – Although I think you’re guaranteed at least a little reward, you’re not picking Tyson for him to increase his average by 6, you’re hoping for a 10-15 point increase at the minimum. I think there’s actually a high chance of this happening, but it will come with the risks of him missing games and almost a certainty of at least one sub-50 score. If you’re low on cash and need a midfielder, I think Tyson could be a strong but risky pick to start in the middle of your Fantasy team. What will Dom Tyson average in 2019? Any comments or questions, leave them below or chuck me a tweet @SparksyDT. I think you might have undersold him a little here. I still don’t think he’s quite worthy of selection, but I think he’ll be closer to 100 average. The inconsistencies in his scoring, plus spending time in the forward line, plus missing selection occasionally can all be put down to the team he was playing in. He’s a genuine inside mid who gets his own pill, but he’s playing alongside Oliver, Viney, Jones to name a few, all blokes who just happen to be better at it. I think it’s testament to his game that he still managed to play and that Melbourne tried to turn him into an outside mid. Shows they rated him highly if they still tried to play him even if it’s not on his best position. At North, he’ll be a genuine inside mid, the only bloke ahead of him in this position is Cunnington, and the two of them should work in tandem with that role. I don’t see there being enough upside in him, but I wouldn’t be surprised if he averages in the low 100s. I actually agree with almost everything you said and that he could definitely average that, and if he does then I’d say he’s definitely worth picking! I’m just unsure we can rely on him to average that much. I hope you’re right though! Currently have him MMAW’ed in my team at M5 hope he can produce more than what the dees failed to get out of him as he is a pure inside mid. Probably lucky to get a game. Wouldn’t even consider in fantasy.